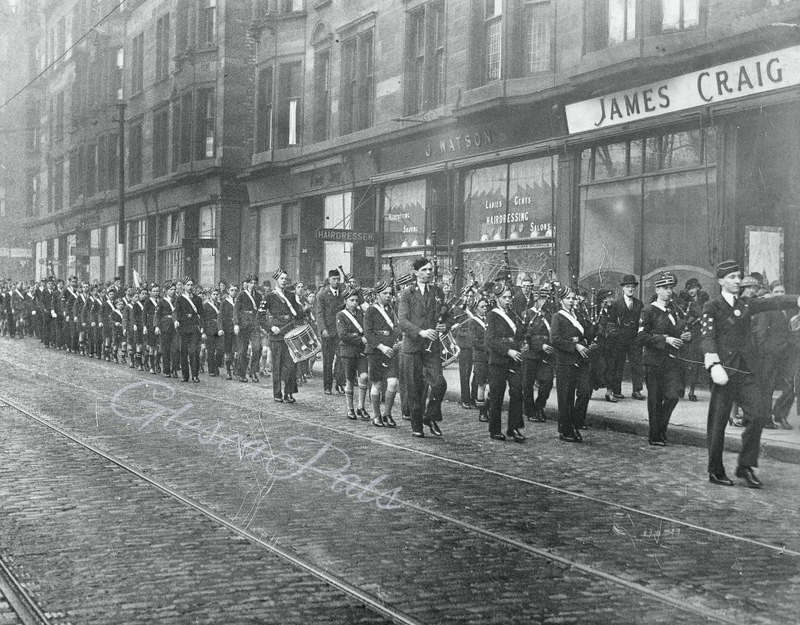 I was recently going through some of my fathers family photographs and things and came across a photograph of the 26 Glasgow BB Company taken in front of the Art Gallery for the 1936 Jubilee. 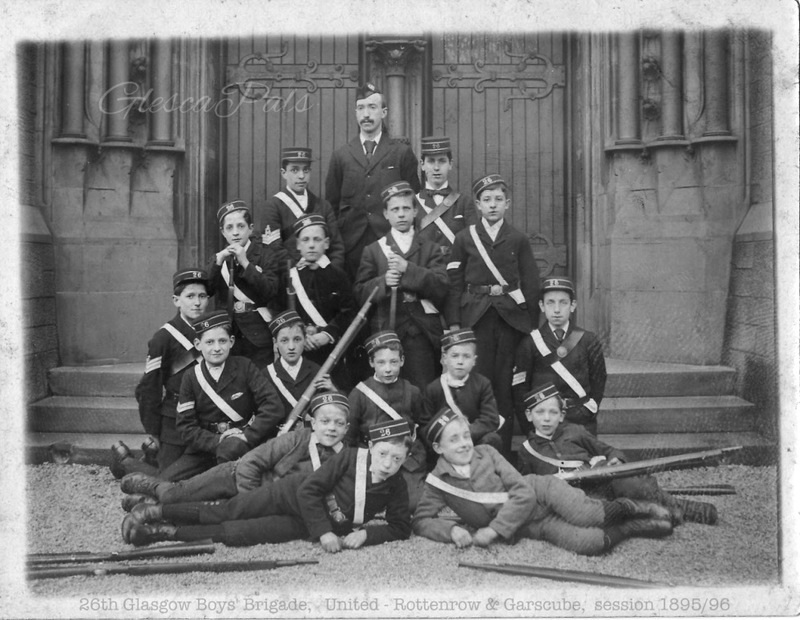 The photograph is very impressive and must total some 150 plus boys and officers. In addition I have the programme for the company inspection with took place on 14 March 1936 but I am not sure if it was in Queen Cross or Woodlands Church. 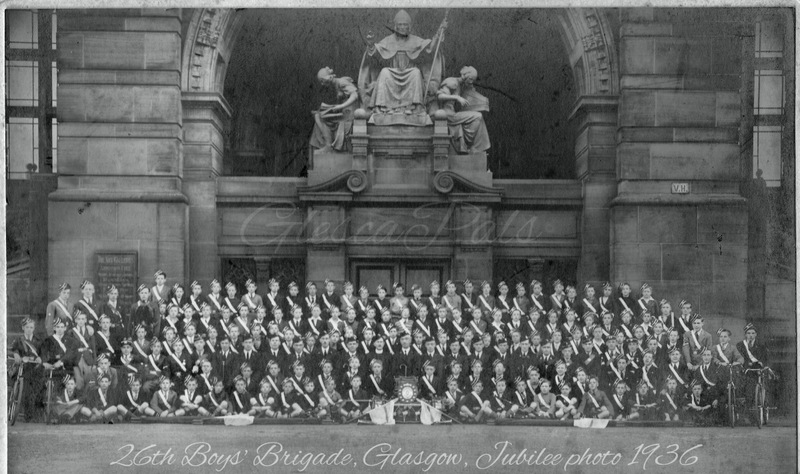 I also have a progranne for the company's 75 Anniversary Inspection and Display held in St Andrew's Hall on 18 May 1961. I would be delighted to send these to you with a vbeiw to you inputing some info to 26th Glasgow thereafter if you know of anyone who would be interested in these document perhaps you would pass the on. In this progamme you will see mention of Mrs J Cameron, 26 lifeboys..she was my Aunt. April 2014, Webmaister: I have been working on GlescaPals for nearly 12 year now and every now and again a real 'gem' of a find turns up. When I received these photos last month I was delighted and I am even more delighted to share them with the 'world' on GlescaPals. Thank you Peter Burnside !